Dreaming of a summer getaway? 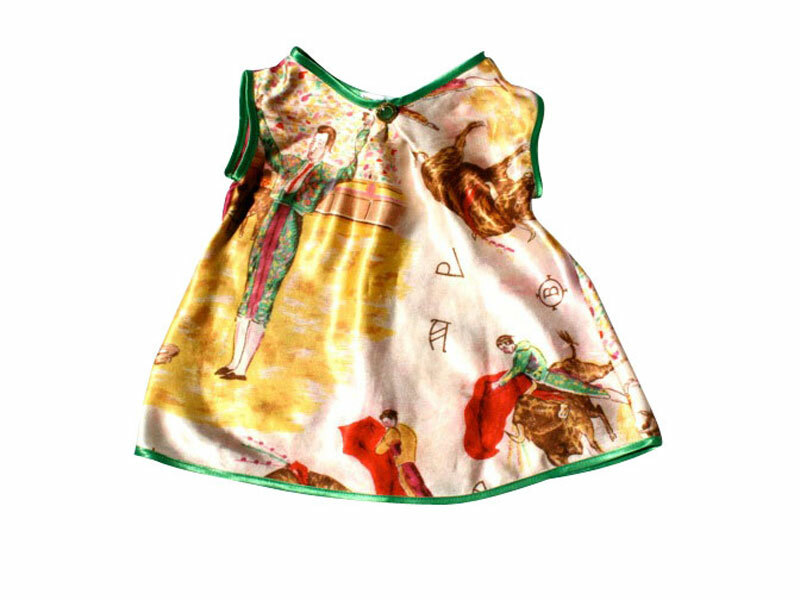 If you can’t jet off to an island next week, dress your little one up in a top inspired by an exotic locale. Deluna Kids has created their Vintage Scarf Tops from 100% silk scarfs selected from vintage markets across the country. Their offerings include a virtual trip to Barbados, Malta, Spain, South Africa, Gibralter or Antwerp, sized for 12 to 24 month olds. We think these pretty little repurposed, re-imagined, patterned tops are a great escape from polka dots, stripes and solids. Dreaming of a summer getaway? If you can't jet off to an island next week, dress your little one up in a top inspired by an exotic locale. Deluna Kids has created their Vintage Scarf Tops from 100% silk scarfs selected from vintage markets across the country. Their offerings include a virtual trip to Barbados, Malta, Spain, South Africa, Gibralter or Antwerp, sized for 12 to 24 month olds. We think these pretty little repurposed, re-imagined, patterned tops are a great escape from polka dots, stripes and solids.